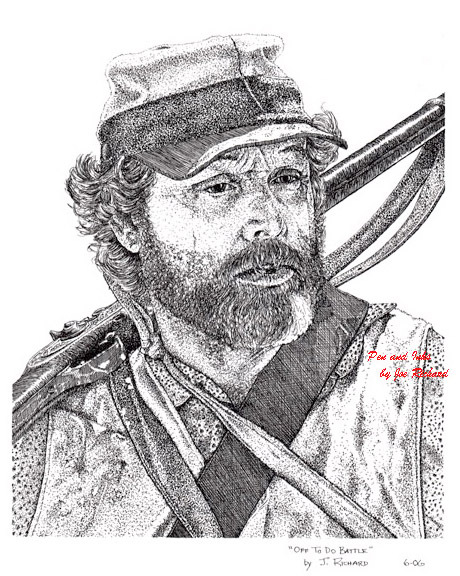 "Off to do Battle" is a study in pen and ink of a living historian reenacting a civil war battle in the town of Jackson Crossroads, Louisiana at the end of the reenactment season. "Off to do Battle" utilized technique illustrating a great deal of stippling to create a dimensional effect to the work. Some line artwork and hatching are used to highlight additional details. 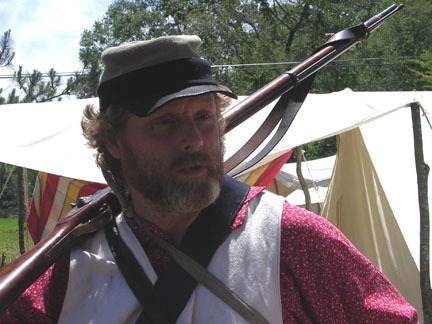 The photo used in completion of "Off to do Battle" artwork. The photo was taken by the artist and is Copyrighted by him.